As our use of digital devices grows, the quality of our digital contacts and content become increasingly important. How do we create web interactions that are intuitive, informative and worthy of a user’s time and attention? All marketers are faced with this challenge today. 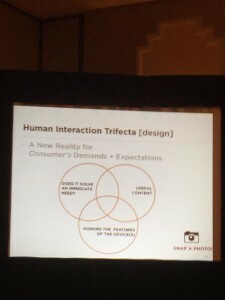 At the last AZIMA event on July 23, Ryan Meeks the Director of Client Strategy at Brushfire Interactive shared his perspective and advice on facing the UX & UI conundrum with wit. Ryan is responsible for how content and technology will strategically shape overall strategies for clients across the country. Ryan brings to Brushfire more than 10 years of experience in strategic marketing and consulting for various clients in varying industries including: professional sports, healthcare, automotive, agriculture, and non-profit organizations. For those of you who aren’t as fluent in nerd as I am, I’ll briefly define the two key terms at hand in Ryan’s presentation for context. UX Design refers to the term User Experience Design, while UI Design stands for User Interface Design. Both elements are crucial to a product and work closely together. But despite their close relationship, the roles themselves are quite different, referring to very different parts of the process within the design discipline. Whereas UX Design is a more analytical and technical field focusing on human behavior principles, UI Design is closer to what we generally hear referred to as graphic design, though the responsibilities are somewhat more complex. Despite how simple it sounds, they do have a complex relationship which Ryan didn’t delve too deeply into in his AZIMA presentation. Mr. Smeets did, however share a few little nuggets that stuck with me. 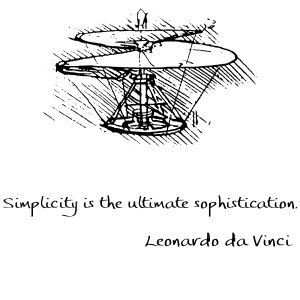 He began with this phenomenal Da Vinci quote. 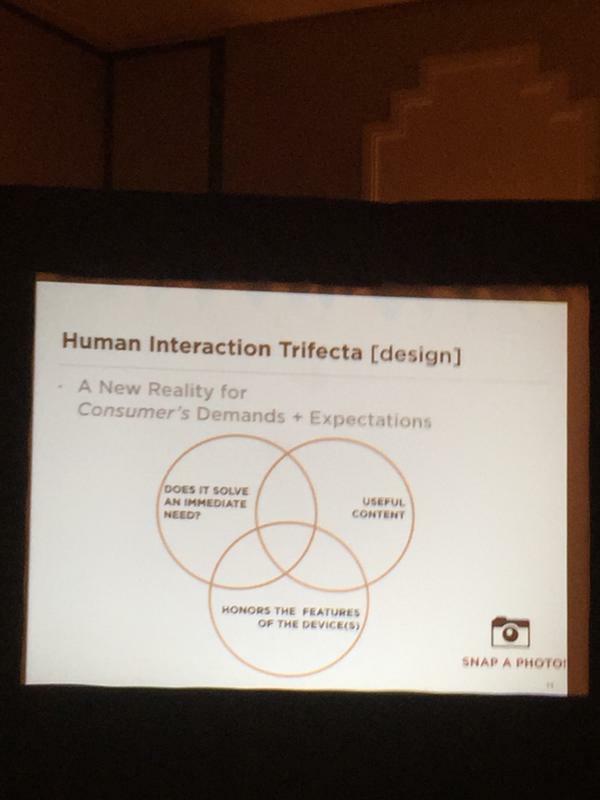 In Ryan’s light and entertaining presentation he shared with us what he calls the “trifecta” for UI. 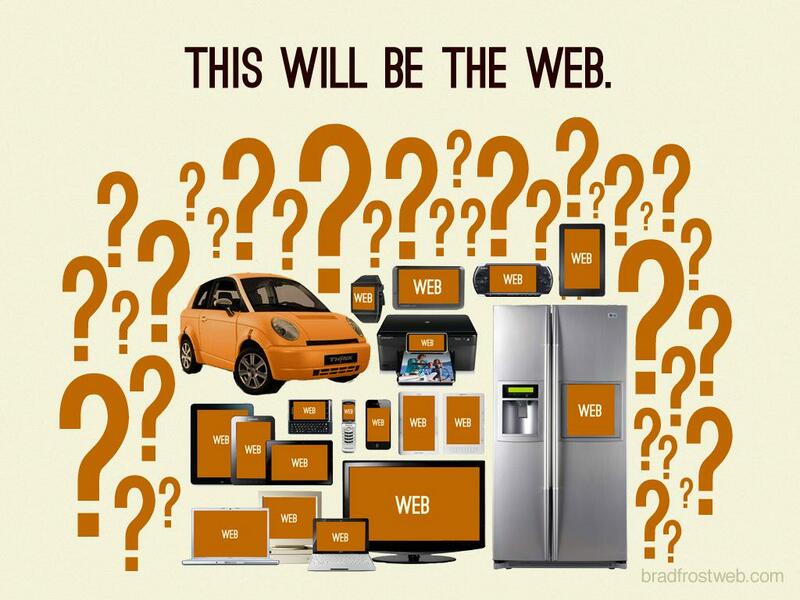 As part of his discussion on the way we as humans interact with our environment and the internet today, he added that “if it’s not mobile, it doesn’t exist.” The audience seemed to agree. 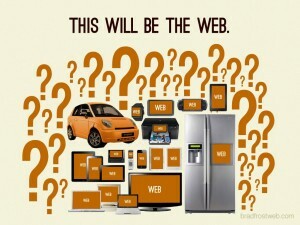 He used this imagery, and suggested that this highly integrated, ubiquitous state is where the web will be soon. Mr. Smeets also explained how “one of the biggest challenges in software is that it’s never done” and went on to share a couple of short case studies about recent work that Brushfire Interactive had done. He went on to share how in some cases his team has found it useful to overwhelm the client with all of the suggested features and functions that might be useful in a product. They throw the proverbial kitchen sink at them, and then refine from there. This helps reach an understanding about the importance of simplicity and the Minimum Viable Product (MVP), which is a term used most often in the field of product development. It refers to the product with the highest return on investment versus risk. The term was coined and defined by Frank Robinson, and popularized by Steve Blank, and Eric Ries. 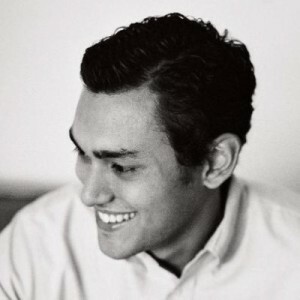 For a look at Ryan Smeets’ AZIMA presentation deck in its entirety you can find it on slideshare. After the presentation Ryan fielded a few questions from the crowd and spoke easily about his experiences and successes in software development. Based on the Twitter response (#azimaevents) the crowd was pleased with Ryan’s humorous and compelling presentation and are all looking forward to next month’s AZIMA presentation on August 20 by Jordan Koen on Using Data to Build Content. I hope to see you there! 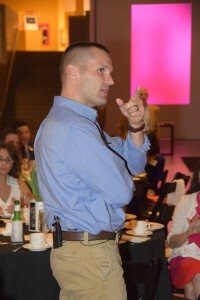 Last night, Arizona’s best and brightest interactive marketing professionals gathered at the Phoenix Art Museum for the 3rd Annual AZIMA TIM Awards show. See the list of the winners from the event, followed by a below photo gallery of the event. Congratulations to those who took home awards! Keep up the great work! 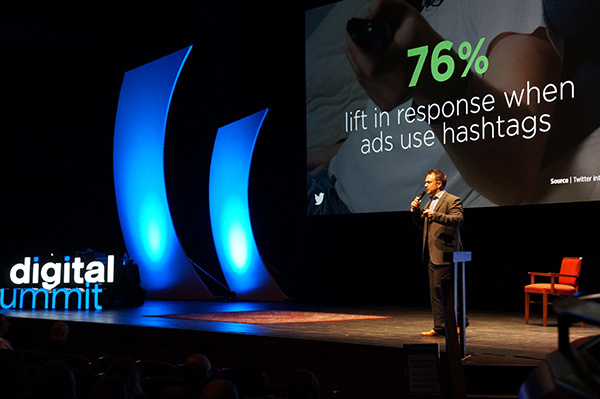 The area’s largest digital marketing conference is just 2 weeks away! 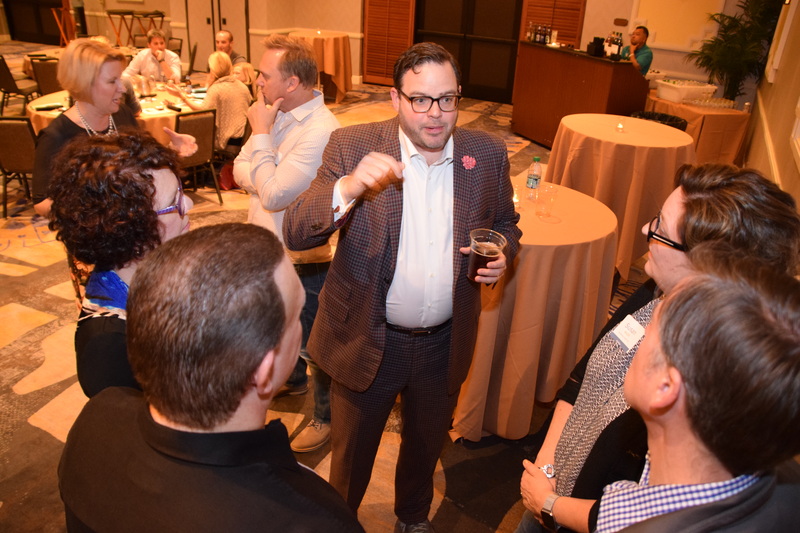 Digital Summit Phoenix will be held Feb. 4-5 at the Scottsdale Center for the Performing Arts and will feature dozens of industry thought leaders from top digital brands including LinkedIn, Salesforce, eBay, Citi, Microsoft, and more. 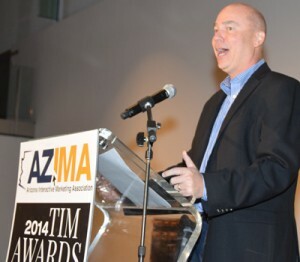 Countless hours, an unwavering work ethic, a desire to connect offline and an enduring commitment to improving the understanding and application of interactive marketing best practices – these are the things that make outstanding AZIMA board members. Nathan Kinkead and Cristie Reed are two prime examples of that, as both recently won the 2014 Outstanding Volunteer award. 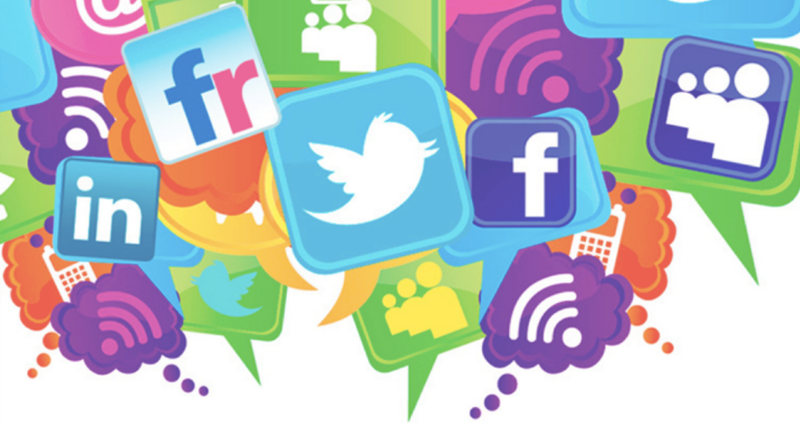 Join AZIMA in Celebrating Social Media Day on June 28 and Save on Registration! There’s a lot of buzz lately about this year’s Social Media Day in Phoenix! There’s a new format, a new venue, and a great roster of speakers lining up for the evening event which takes place on Sat., June 28 from 6 to 10 p.m. at the Renaissance Phoenix Downtown Hotel. Valley social media enthusiasts, small business owners, media, marketing professionals and others will all benefit from educational content sessions and networking! AZIMA will be there and you can save $6 using our special promo code: AZIMA when you register today! 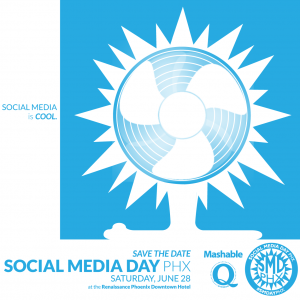 #SMDAYPHX is now being managed and coordinated by MoniQue Shaldjian, owner of QtheBrand, a Phoenix-based digital marketing company specializing in social media, SEO, web development and branding. Enjoy light appetizers and desserts, signature cocktails, cash bar, photo booth, as well as the Social Media Day celebration! Purchase your raffle tickets for a chance to win over $3,000 in prizes from local businesses! Proceeds from the raffle will ensure continued social media education for the Phoenix community. College graduates within each major have one thing in common: educational experience from an accredited learning institution. What really stands out to employers and makes a candidate more marketable is the amount of work experience a student has in his or her field. This is one of largest benefits to holding an internship. Internships also allow students to make connections in the industry and develop their skills outside of the classroom. 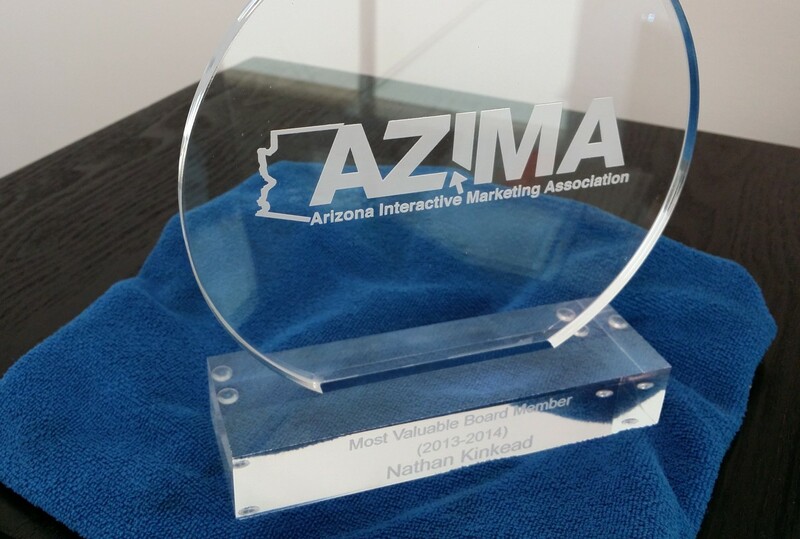 Arizona Interactive Marketing Association (AZIMA) is a nonprofit, nonpartisan membership organization that helps Arizona agencies, businesses, educational institutions and students improve their understanding and application of interactive marketing best practices. AZIMA is offering an Academics & Marketing Intern position. The intern will help with administrative, marketing and academics research for AZIMA. AZIMA is made up of people from a range of interactive marketing disciplines: Internet search, design, mobile, video, social media, analytics and more. Gain real world experience in the field: blogging, assisting with social media marketing, performing online market research, copy writing and editing, assist in scheduling speakers and more. 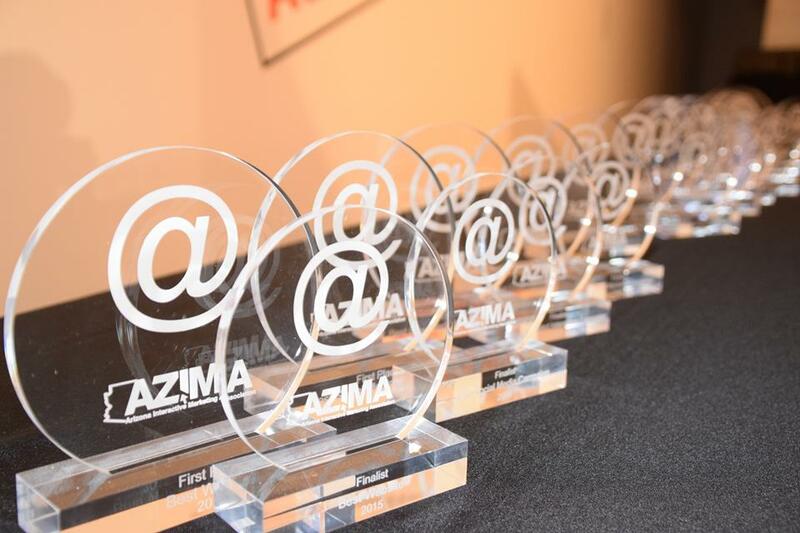 Free attendance to all AZIMA events, including training sessions taught by world-class experts and social networking events with informative and entertaining speakers. 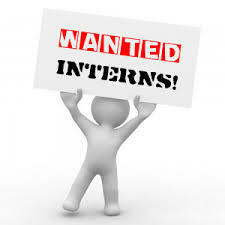 The internship would require 5 to 20 hours per week and is unpaid. The intern would work from full-service marketing firm LaneTerralever’s offices in Tempe and Downtown Phoenix, when not on location at AZIMA events usually scheduled at the Scottsdale Hilton. Those who are interested, please send a cover letter and resume to Elise Gould at [email protected].